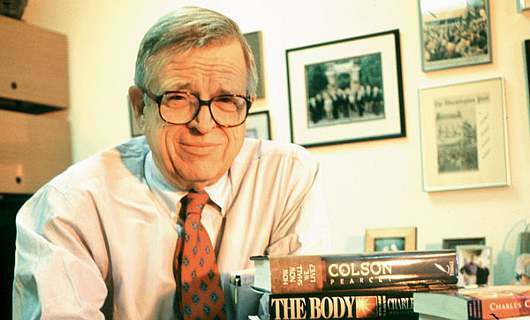 Update: Charles Colson has died. He passed away on Saturday 21 April 2012 from complications resulting from a brain hemorrhage. I recorded this interview with Chuck in August 2010, making it one of the last interviews he conducted. The world has lost a remarkable man. Over the years I have had the privilege of interviewing a number of people who have influenced me personally. Charles Colson is one of them. Gaoled in relation to the Watergate scandal of 1974 that brought down US President Richard Nixon, Chuck went on champion prison reform and is today an astute thinker on the Christian worldview through his books and influential Break Point comentaries. As Special Counsel for US President Richard Nixon between 1969 and 73, Chuck Colson was known as Nixon’s ‘hatchet man’—a hard-headed political player adept at getting party politics through. He was the first person gaoled in relation to the Watergate affair, but his life changed just before entering prison with a personal discovery of Christian faith. What he experienced behind bars led him to found Prison Fellowship International—the largest outreach to convicts, victims of crime and justice officers in the world. It’s all brilliant stuff – an interview that was well worth the wait. Colson’s many books include Born Again , The Good Life , Being the Body and the remarkable How Now Shall We Live? Download the interview here or listen below. Q: Have you been touched by Charles Colson’s work? Read his books? Been involved in Prison Fellowship’s outreach to inmates and their families? Tell me now. April 22, 2012More from Blog, Interviews, On Faith and Belief, Christianity, Chuck Colson, Meaning, Prison Fellowship, Prison Reform, Watergate Scandal, Worldview.